Untangling the day-to-day issues in our multifaceted lives can seem daunting. Time to sit quietly and reflect is rare. As people of faith, we add another layer to our reflections when we wonder where God fits into our lives. In a broad sense, theological reflection happens any time that we wonder about God, our faith, our beliefs, and our values. Abigail Johnson offers a structured process for engaging in theological reflection by looking at a situation or event through a series of questions. 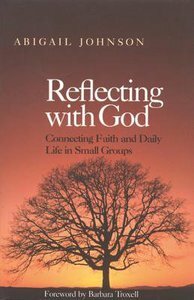 These questions are designed to help individuals and small groups to think through situations with the eyes of faith.